Typhoon Haiyan (PAGASA name Yolanda) struck the Philippines on November 7th, devastating islands in the Visayas, flattening whole towns and villages, and killing thousands. With sustained winds of 195 mph and gusts up to 235 mph, it was the strongest tropical cyclone on record to make landfall. Typhoon video coverage from GMA News. BBC: Philippines destruction ‘absolute bedlam’ — feature includes before/after images, satellite views, survivor stories, accounts from a missionary providing aid, and reports from Vietnam. 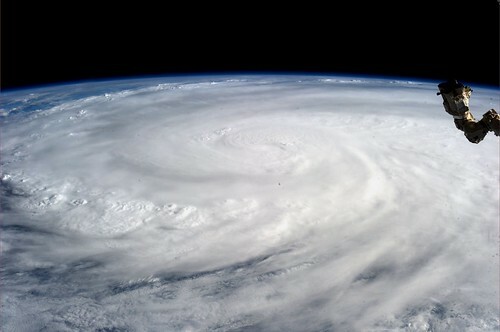 Also see As it happened – Philippines typhoon disaster. Typhoon report from Jeff Masters of Wunderground. Sustained wind from the typhoon after landfall was apparently equivalent to at least an EF3 or EF4 tornado. Capital Weather: Chasers document “ghastly” scene, raw damage images and video, and discussion on reasons for the damaging winds and storm surge causing such a high death toll. Washington Post: Videos show Typhoon Haiyan’s charge across Philippines. Reuters photo slideshow: initial photos of typhoon damage in and around Tacloban. BBC photo slideshow: Tacloban in ruins. AP photo slideshow: Devastation and death in Philippines. The Atlantic In Focus: Super Typhoon Haiyan Devastates the Philippines. Boston.com Big Picture: Typhoon Haiyan. Storify collections from Cebu Daily News and Weather Stories. “The last time I saw something of this scale was in the aftermath of the Indian Ocean tsunami.” – UN disaster aid official Sebastian Rhodes Stampa. First look at typhoon damage on Bantayan Island. Armed Forces aerial photos of Guiuan, Eastern Samar, one of the first and hardest hit locales. 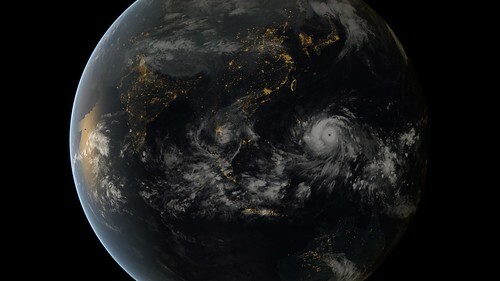 Channel News Asia: Philippines helpless in face of powerful storms, say experts. How to help and additional updates.